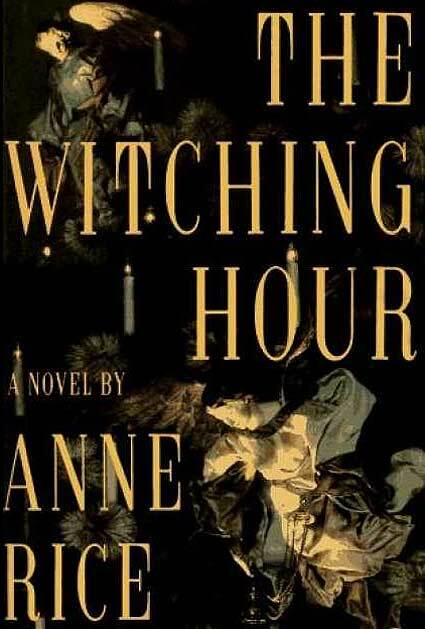 The first in the Mayfair Witches series, The Witching Hour introduces the fictional Mayfair family of New Orleans, generations of male and female witches. This tight-knit and deeply connected family, where a death of one strengthens the others with his/her knowledge. One Mayfair witch per generation is also designated to receive the powers of "the man," known as Lasher. Lasher gives the witches gifts, excites them, and protects them. Unsure as to exactly what this spirit is, the Mayfair clan knows him variously as a protector, a god-like figure, a sexual being, and the image of death. Lasher's current witch is Deirdre, who lies catatonic from psycological shock treatments. Deirdre's daughter, Rowan, has been spirited away from this "evil" and has happily become a neurosurgeon and has an uncanny gift to see the intent behind the facade. Rowan also has a gift few doctors possess--she can heal cells. Yet, though she uses it to save lives, she also fears that she hs caused several deaths. She rescues Michael from drowning. Michael then develops some extraordinary powers that compel him to seek New Orleans and to seek Rowan. He finds both, and pulls the tale closer together by meeting people connected to the Mayfair family who now fear Rowan because she is the first Mayfair who can kill without Lasher's help. Michael dives into learning the history of the Mayfair witches: Deborah, Charlotte, Mary Beth, Stella, Antha, and many others across hundreds of years and three continents. When Michael looks up from his reading, he learns that Rowan has come to New Orleans to attend her mother's funeral. Rowan learns of her family history, her ancestral home in shambles, and Lasher waiting for the next one. Rowan dedicates herself to stopping Lasher's reign. Michael too has his own mission, but it is foggy and unclear to him. But Lasher is seductively powerful and Rowan's gifts offer him the opportunity to achieve his ultimate goal.